Ooh, good luck! Sending sticky vibes your way! That’s wonderful Katie! Wishing you every success and looking forward to reading about the journey on your blog. You know I have two little ones just 27 months apart and whew they run me ragged…but I love their little faces and I wouldn’t change either one of them. So exciting!! Happy baby making. I wish you appropriate and not Suleman amounts of fertility… no one needs a litter- that would bring all kinds of post pardum crazaay! Heart you! Yay!!! That’s so exciting! Bebe vibes your way. I am SO very excited for you! Sending good wishes and baby dust your way! Oh happiness! I’m so excited for you. Happy trying and good luck! May you be nausea and heartburn free. May your feet not swell to the size of skateboards and may your skin remain stretch-mark free. OMG, so exciting! Praying for good news for you soon. So exciting!!! Sending up a prayer for you guys, I hope good things happen really soon! Fun! Good luck! Can’t wait to read about your journey. What an exciting time for you! Oh Katie – I’m so over the moon excited for you!! Your womb is in my thoughts. What a fantastic pair you both are, Katie! Best of luck to you my friend. Hugs from across the pond! This is amazing, and lots of luck to you!! I would love to win this, I am working on ordering bday invites for my LO right now! This isn’t an entry–just my warmest wishes for easy conception, safe pregnancy, and joyful birth. I’ll keep you in my prayers. YAYAYAYAY! Such a happy announcement! I wish you the best this time around! I just wanted to say how happy I am for you and your family. What a wonderful decision AND announcement. Sending fun “get pregnant soon” vibes your way! YIPEE!! Time to make more cute bebes!!! I’m so happy for you. And Cort and Eddie! Congrats! I hope everything goes well. Congrats & good luck to you! Good luck! I hope you are printing annoucements soon. I’ll send my super fertile vibes your way. And ‘Announcey’? I love made up words. That is awesome news! Sending prayers and good vibes your way!! And you are right you do have an amazing husband, it is awesome that he understand urs needs. Best of luck to u and ur family!! Yay!!! So I want you to know it took me 2.5 yrs and 3 m/c’s to get pregnant with my oldest son. It then took 3 cycles to get pregnant with my youngest son. So keep a positive outlook! Good luck and I can’t wait to follow this exciting and nerve wracking time! Katie!!!!!! I have tears! I’m at work with tears!! You are gorgeous in that photo. I’m so excited for you and Cort and Eddie! I know your fears and your excitement. This is going to be a tremendous ride. So much fun. We’re here for you the whole way!! SOOOOOO excited for you…that is fantastic news. Wishing tons of GOOD JUJU baby dust!!!!!! I can’t wait to be able to see you on this trip this time. You rocking the flowers. Cutest ‘deflowered’ picture ever! Hope to see you looking like that again soon! Exciting times! Yeah for babies…20 weeks in I was just thinking today how much I have NOT spent time enjoying this once since I am chasing a toddler but I truly believe the best gift you can give your child is a sibling…so I am baking this one for Brady! 🙂 And us too! Have fun! Sending good vibes your way 🙂 I am so excited and happy for y’all!! Lots of love and luck! Always inspiring and always true. Thanks for the great article Katie. Woo hoo!! This is exciting! Congrats! That is all very exciting!! Did I share with you that during my fertility issues, we decided to try progesterone suppositories as a last ditch effort before trying IUI, and I got pregnant that very same month? It could have been a coincidence, but I believe it was the progesterone that made all the different. 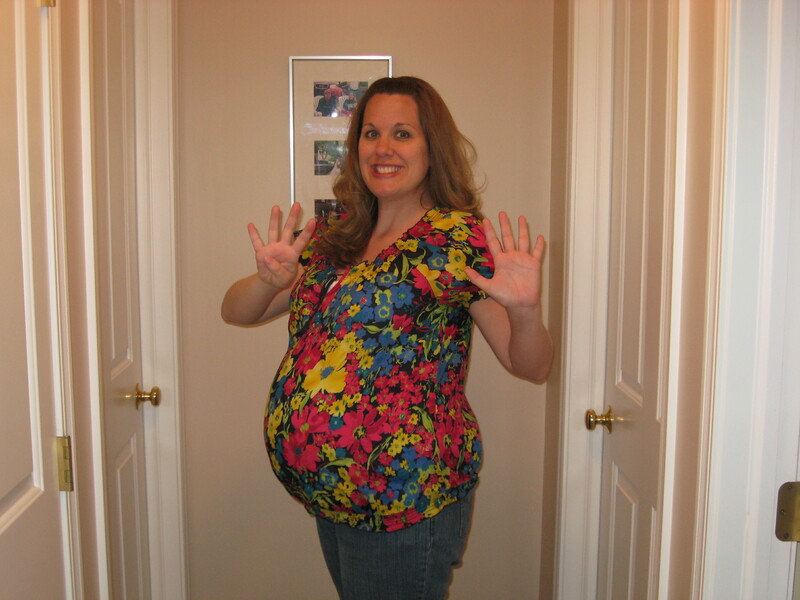 good luck trying to get knocked up – and i love me some shutterfly!! Leaving good thoughts for you keeping the bun in the oven full term and having another wonderful child! Exciting!! Wishing you tons of luck and a happy, healthy pregnancy. Here’s to good vibes being sent your way via the interwebs! Good juju for you. Lots of luck! Pssst, I’m excited for you. I don’t care if I win or not!! But Congratulations and best of luck to you both!! I can’t wait to read the journey!! Yay! So excited for you! I was a CRAZY person when we were TTC. Absolutely nuts. Not sure people would have wanted to follow me on that journey. LOL Although I have written all about it in great detail for my book. Can’t wait for your good news, my friend! Oh, that’s wonderful! Wishing you the very best, good luck TTC! Good luck! So excited for you guys! Will be saying some prayers along the way. That’s great news!!! I hope we have babies together! Can’t wait to have another neice or nephew!! Go on vacation! Or just get down in any room but your bedroom. Apparently my old bed was baby kryptonite. I am officially entering! And.. 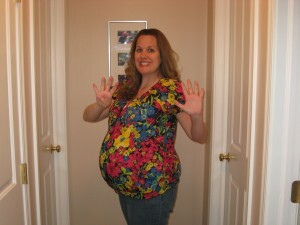 I don’t tweet but I feel I should get a bonus entry for being pregnant with twins?…. no? well I tried!! You know I am so so happy for you guys! This is so exciting Kate!!! I can’t wait to have another niece or nephew!! I love being an Aunt! We will be praying things go smooth with this pregnancy, much love. Holy Moly!!! Katie, this is so exciting!! I’ll be praying! You know I love you and I am so priviledged that you want to take us all on this journey with you. I’m sending all my love and all my baby fairy dust your way. I’ll hold your hand excitedly and will be praying for twins so that I can selfishly have one…hee hee. Sending you my fertility! Make good use of it. Good luck with your exciting plans! !